Jaguar Land Rover is committed to supporting all our Apprentices to develop their practical skills in English, Maths and Information and Communication Technology (ICT), through training known as Functional Skills (in England), Core Skills (in Scotland) or Essential Skills (in Wales). These skills provide an individual with essential knowledge, skills and understanding that will enable them to operate confidently, effectively and independently in life and within the Jaguar Land Rover workplace. Functional, Core or Essential Skills are about learning a skillbase, including communication, team working, presentation, and problem solving, that is then transferable to other areas of learning, life and work. For our Apprentices and our Retailer Network, they help make sense of daily life, from communicating with teams and our customers, to getting the best deal, and using a computer. All our Apprentices will be challenged to develop their knowledge, understanding and use of Maths, English and ICT skills through their technical training. 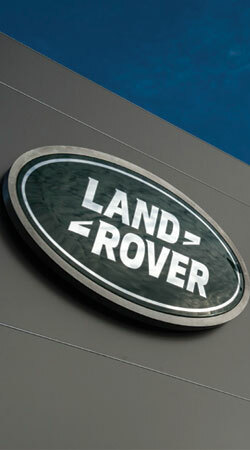 However, those Apprentices that have not met the initial Jaguar Land Rover recruitment criteria in these topics must undertake further study to ensure they can progress through their Apprenticeship, and are required by the funding bodies to complete qualifications to prove they have met the standards set by employers. Representing – making sense of a situation and representing it mathematically. Analysing – processing and using maths. Interpreting – interpreting and communicating the results of analysis. Speaking and listening – making an oral presentation or report. Reading – reading and understanding information and instructions. Writing – writing accurately so that meaning is clear. Developing, presenting and communicating information. Jaguar Land Rover is committed to delivering these skills to all Apprentices through a programme of embedded learning, online learning and personalised support.